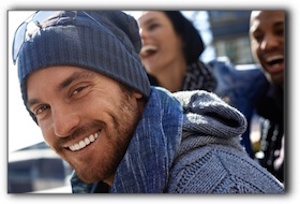 If you’re not happy with your smile, consider the cosmetic dentistry offered by The Sugar House Dentist in Salt Lake City. There are exciting developments in the field of cosmetic dentistry. At The Sugar House Dentist, our passion is providing the highest standard of dental care to our Salt Lake City area patients, and creating the healthiest and most beautiful smiles possible. If you are not familiar with the latest cosmetic dentistry, you might not realize what it can achieve. A total smile makeover involves a combination of procedures, which may include dental crowns, porcelain veneers, dental implants, and teeth whitening. If you have dental anxiety, we can help. Sedation dentistry will calm your nerves and help you relax while you undergo your cosmetic dental smile makeover. If you are in the Salt Lake City Sugar House, Millcreek, or Holladay area and have cosmetic dentistry questions, we’d love to hear from you.